One size fits most - easy to adjust you're not "most"
I don’t know about the rest of you with teenagers, but my lovely girl tends to be thoroughly underwhelmed by the amazing things that I knit. 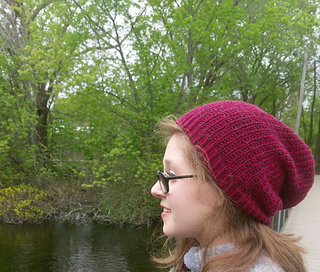 Until….I make her a very specific beanie (which honestly, to me, isn’t even a beanie, but to her…). 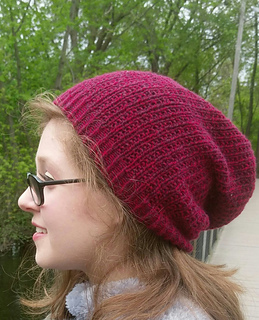 Since I so rarely score in the knitting department with her and I love her like crazy, I thought a nice Reclaimed Cashmere beanie was justified. This hat went on her head and didn’t come off. This pattern is made for our amazingly delightful Reclaimed Cashmere. It seems like a lot of people having been having a tough time lately, and we thought it would be nice to have a nice little bit of luxury to change up the harrowing bits of life. This pattern is the first in a series of 1-2 skein patterns for our Reclaimed Cashmere so that you can make a lovely project without breaking the bank. Find out more about our Cashmere by clicking the link! You can find the first in the series here.